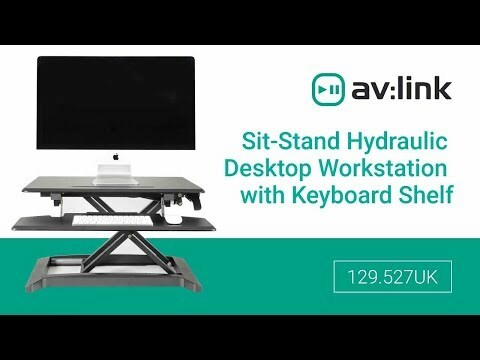 This sturdy yet stylish workstation is the perfect solution for using your PC or laptop in either the sitting or standing position. Its smooth gas-sprung mechanism and one-touch operation make changing height a breeze, and the additional quick release keyboard shelf provides even more adaptability. Its hard wearing, scratch resistant surfaces and rugged construction means its always looking professional no matter how tough the surroundings.